An Administrator can manage a CASE Assessment for a district, or they can allow the district to manage it. Click Admin, hover over Assessments, and select Benchmarks. Find the benchmark that you want to manage, and click the Manage button. Select the schools that you want to add the benchmark to. 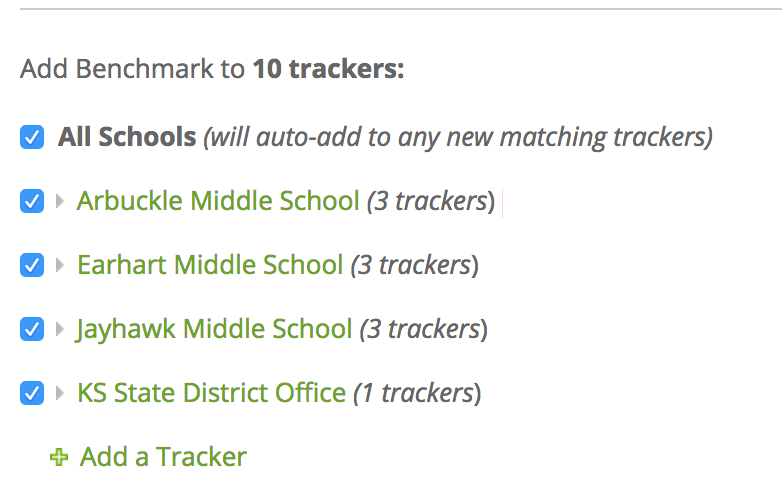 Click the arrow next to the school name to view and exclude specific trackers. You also have the option of scheduling a time when the benchmark data (including benchmarks with no scores) will be exported. 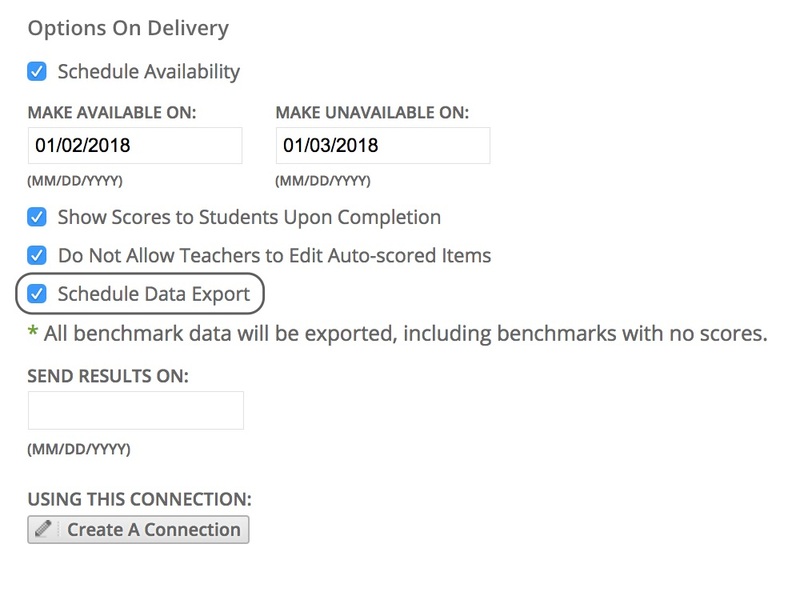 Select the checkbox to schedule export data, and select a connection. After you have made the benchmark available, you can edit availability by clicking the Edit button on the top left.